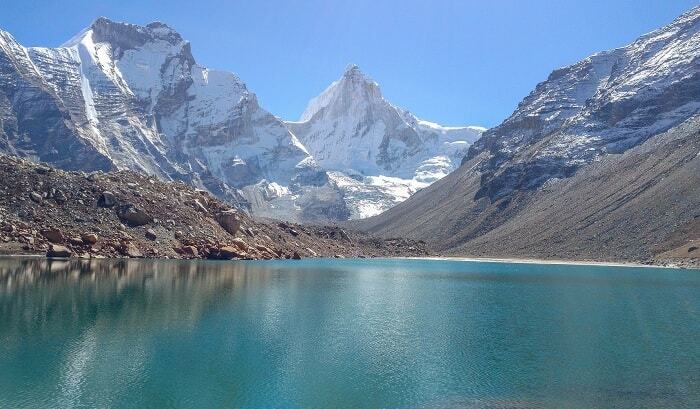 Lakes reflect the Heavens and Uttarakhand, the Land of Gods, is also blessed with a bounty of lakes or Tals as they are known, aptly underlining its importance as a place of indescribable natural beauty. 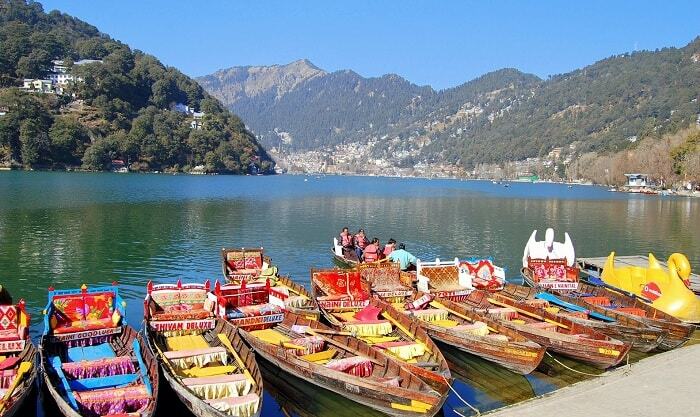 Named after Bhima of Mahabharata fame, Bhim Tal, one of the largest of lakes in Uttarakhand, is only 25 kilometers from scenic Nainital at a height of about 1200 meters, making it a wonderfully pleasant place to visit. You can go boating and visit the island in the center where you have a panoramic view as you dine at the restaurant here. The area around is also exquisite for nature lovers with farmhouses, fields and orchards. 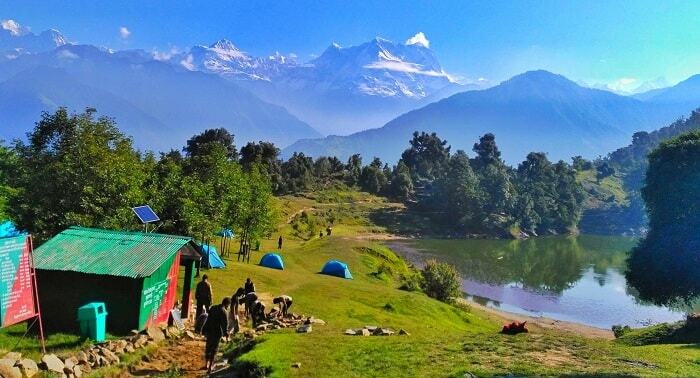 A holy place, Deoria Tal is spread over an area of 700 meters near Ukhimath, overlooking the Chaukhamba Mountain and dressed with forests populated by twittering birds. Govind Ghat is where you will find the Hem Kund Lake, only 2 kilometres from Pandukeshwar, a jumping off point for a visit to the incomparably lovely Valley of Flowers at a distance of 17 kilometres. It has spiritual connotations too, located at a height of 4060 meters, and is a pilgrimage center for Sikhs and Hindus alike. 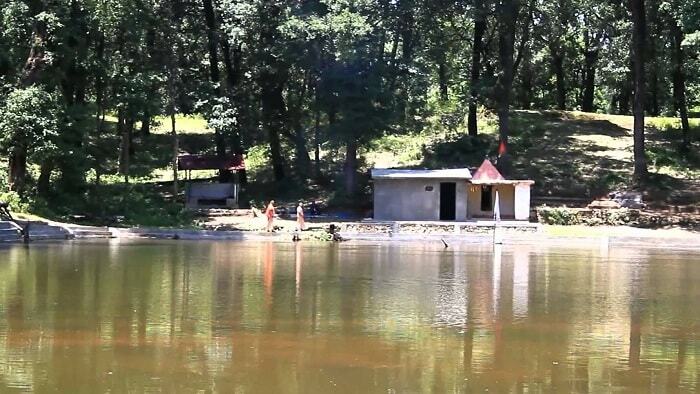 You will find a Lakshman temple and a Gurudwara in the vicinity. The mountains tower up into the sky and at a height of 4425 meters you will find Kedar Tal, about 18 kilometres from Gangotri. 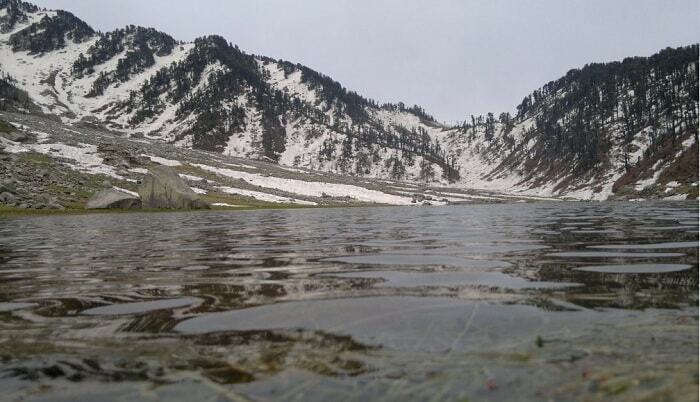 The serene and cool waters reflect the skies and snowcapped mountains, well worth the arduous climb. 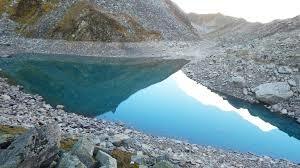 You must not miss these two Lakes located on the way to the Khatling Glacier. Sahastra Tal is one of the most beautiful lakes from where you can go on to Khatling or the Meru, Kirti Stambh and Jogin Glaciers. 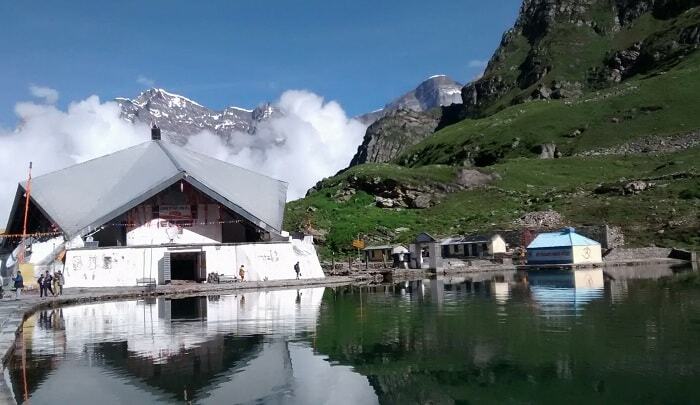 Only 25 kilometres from Badrinath, this triangular Lake is yet another place of religious significance. 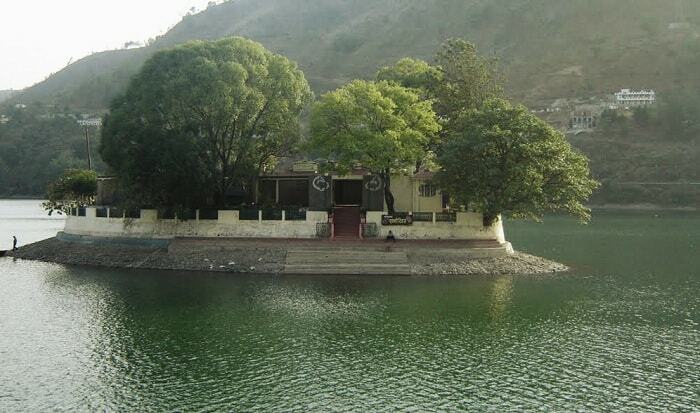 People believe that Mahesh, Vishnu and Brahma occupy one corner each of the three-cornered lake. Lotus flowers bloom in abundance and lend this lake a charm all its own. Spread over a distance of 3.5 kilometres, this large freshwater lake is bordered by rocks, tall mountains and forests. It is also a holy place with the Naina Devi temple on its shores and it has a religious significance since it is one of the 51 Shakti Peeths in India. The charming Nachiketa, about 32 kilometres from Uttarkashi, leaves you absolutely stunned with its scenery and the divinely enchanting atmosphere. It is open the year round and besides being a place of religious significance, it is a paradise for birdwatchers and for people who would like to indulge themselves with angling or boating on the calm waters. 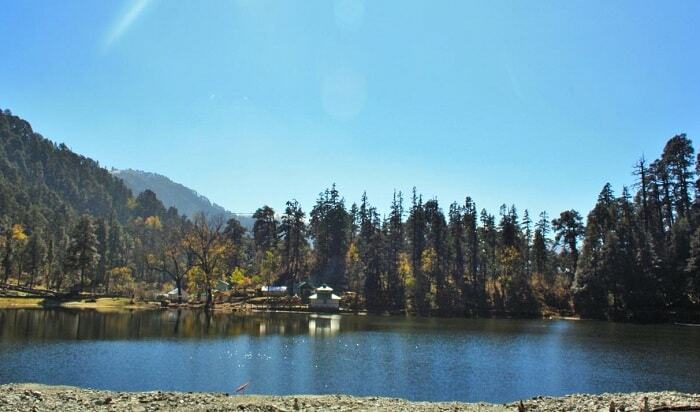 Located in Uttarkashi, Dodi takes its name after the abundant freshwater fish populating the Lake. The ASI Ganga starts here and merges into the Bhagirathi near Gangotri. This is a scenic destination and one you should not miss, if not for the angling then for the view of the Bandarpoonch and for a visit to Hanuman Chatti. 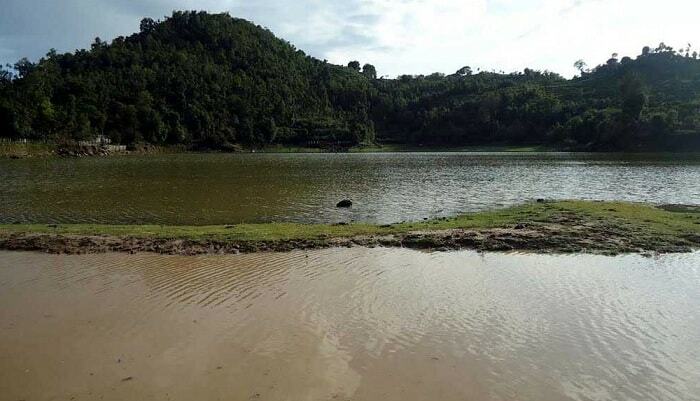 Of historic and religious significance, this 1.5 square kilometre lake is about 132 kilometres from Pithoragarh and is associated with Pandavas and has ruins of ancient monuments. Visit one, a few or all of these lakes before these places become crowded with tourists and lose their magic enchantment.